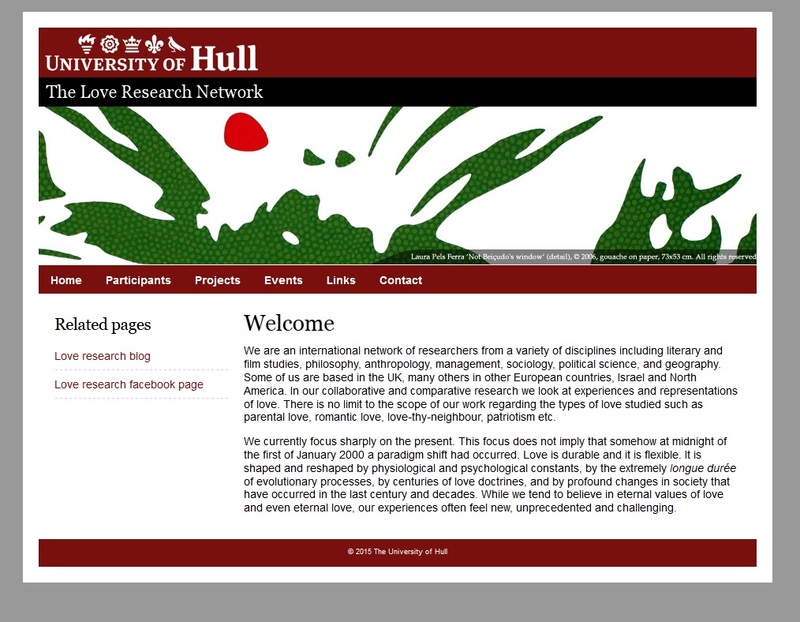 The Love Research Network has virtually moved house to Hull. The site is live and in the process of further updates. Please change your bookmarks. Support for travel is available–preference given to graduate students and untenured faculty. What has the story of love been? Where is it headed? How does popular culture help shape the experience of romantic love—and how has popular romance culture been changed, in its turn, by broader social, political, economic, and technological developments? For its sixth international conference, to be held at the University of Utah in Salt Lake City, Utah, USA, the International Association for the Study of Popular Romance calls for papers on romantic love and its representations in popular media, now and in the past, from anywhere in the world. Open to talks on any relevant topic or text, we define “popular romance culture” broadly to include not only fictional forms (novels, films, TV shows, pop music, fan fiction, popular poetry, etc. ), but also didactic material (advice columns, dating manuals, newspaper debates about love or marriage “in crisis”), and the “ideal-typical” representations deployed by advertising. This year, we are particularly interested in papers on traditions of love and its popular representations (local and regional traditions, historical traditions, religious traditions, etc. ), on the trajectories that carry popular romance culture across boundaries of region, period, genre, or medium, and on individual instances of popular romance culture which might illuminate those broader traditions and trajectories. We are eager to receive proposals on older forms of popular romance (classical, medieval, early modern, etc.) and on love and its representations in Asian, African, Middle Eastern, and Latin American popular cultures. We would also encourage proposals on popular romance culture in the classroom and in libraries: course designs, questions of pedagogy, archival collections and concerns, etc. This multi-disciplinary conference welcomes searching questions about romantic love’s nature, history, politics, and lived experience that have been raised by emerging interdisciplinary fields such as Relationship Science, Love Studies, and the History of Emotions, as well as by history, anthropology, literary studies, psychology, sociology, neurobiology, queer theory, and cultural studies. We also invite proposals from romance authors, industry professionals, and independent scholars. Submit proposals for individual papers, full panels, roundtables, interviews, or innovative presentations to conferences@iaspr.org by October 9, 2015. All proposals will be peer reviewed. The decision of the reviewers will be sent by the end of November, 2015. The Troggs said it first. Wet Wet Wet said it. Even Hugh Grant as the UK Prime Minister said it: love (really) is all around. Love is durable and it is flexible. It is shaped and reshaped by physiological and psychological constants, by the extremely longue durée of evolutionary processes, by centuries of love doctrines, and by profound changes in society that have occurred in the last century and decades. While we tend to believe in eternal values of love and even eternal love, our experiences often feel new, unprecedented and challenging. The growing field of critical love studies looks at experiences and representations of love. Romantic love, the type of love with which popular culture is chiefly concerned, has long been of key significance for producers and scholars of popular romance. What is romantic love? What are its cultures, its artefacts, its residues? How do romantic love and competing concepts such as confluent love or “erotically charged intimate love” relate to each other? Is there a specifically queer type of romantic love? How does romantic love fare in the age of digital economies and consumer capitalism? What is romantic love in a post-colonial context? What are the emerging hybrid forms of love which may incorporate elements from different cultural settings such as arranged marriage and individualised romantic love at the same time? Does romantic love exclude parental love or culminate in it? These are a few, largely unanswered questions critical love studies have been asking in recent years. The Journal of Popular Romance Studies (JPRS) seeks essay submissions for a special issue on Critical Love Studies. Michael Gratzke and Amy Burge are the guest editors. We welcome submissions on the topics below; although all papers engaging with the subject of romantic love will be considered. We are open to submissions from a wide range of humanities and social science disciplinary contexts, including (but not limited to): sociology, philosophy, literature, cultural studies, law, psychology, anthropology, political science, management, geography, music, art. Published by the International Association for the Study of Popular Romance (IASPR), the peer-reviewed Journal of Popular Romance Studies is the first academic journal to focus exclusively on representations of romantic love across national and disciplinary boundaries. Our editorial board includes representatives from Comparative Literature, English, Ethnomusicology, History, Religious Studies, Sociology, African Diaspora Studies, and other fields. JPRS is available without subscription at http://jprstudies.org. We invite chapters that reexamine love from the perspective of materiality studies, especially new materialism and object-oriented philosophy, to sparkle a debate on a relationship between love, objects and new forms of materializing affection. We are interested in papers that analyze the role of things and material culture in practicing and conceptualizing love as well as provide an insight into how materiality (in its broadest sense) impacts the understanding of love today (its meanings and practices), and reversely, how love contributes to the production and transformation of the material world. Please send inquiries and proposals to materialityoflove@gmail.com by 15th December 2015. Completed chapters should be submitted by 30th May 2016. For further queries, please contact Ania Malinowska (anna.malinowska@us.edu.pl) or Michael Gratzke (M.Gratzke@hull.ac.uk). We are on Facebook and on Twitter as @lovereseachnet .